Choral | Voices Of Birralee – Blog! There’s many quotes about music and love with likely the most famous, Shakespeare’s “If music be the food of love, play on” written for the Twelfth Night. It’s true, music speaks to the heart and there’s been many inspiring songs performed in choral settings that have stolen our hearts over the years. 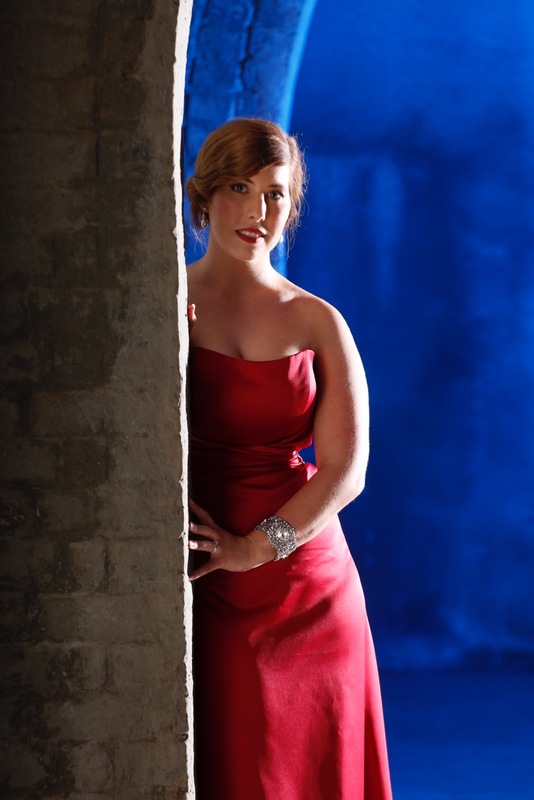 This Valentine’s Day, some of Voices of Birralee’s conductors share their favourites. Voices of Birralee Founder and Artistic Director Julie Christiansen OAM says no nation celebrates romance like the French. “There are many beautiful love songs that are great to reflect upon on Valentine’s Day, and who knows more about romance than the French! One of my favourites from the years has been Chanson D’Amour, made famous by Manhattan Transfer,” Julie said. Chanson D’Amour, as an acapella jazz number, has become a chorister favourite during our World War One Centenary Tours, proving very popular for audiences in France. Voices of Birralee’s 2018 Western Front Centenary Choir (for the Centenary of the Battle of Hamel) perform Chanson D’Amour. Birralee Kids conductor Kate Littlewood’s favourite love-inspired piece is John McNaughton’s “Love at Home” arranged by Mack Wilberg. “The lyrics of this hymn speak about how all aspects of our life will appear brighter and more beautiful if we have love in our home life. I choose to interpret this as the love of a partner, parent, child, sibling, pet … or all of the above!” Kate said. The Mormon Tabernacle Choir performs Love at Home. For Peter Ingram (Resonance of Birralee Co-Director and Birralee Recycled Conductor) it is A Red, Red Rose, arranged by James Mulholland that is a favourite. “It is a beautiful text with matching beauty in the harmonies. As always with music, there is an emotional connection,” Peter said. Portland State University Choir performs A Red Red Rose. Finally, in a piece our older members will recall, i carry your heart with me resonates most with Paul Holley OAM (Resonance of Birralee Director and Birralee Blokes Conductor). This song is a favourite of Resonance of Birralee and was even sung by our choir when one of our members proposed to his girlfriend in a surprise proposal a few years ago. “It is beautiful choral writing and an incredible piano part. The song captures the poem by E. E. Cummings beautifully and the composer, Ben van Tienen is a dear friend,” Paul said. Resonance of Birralee perform i carry your heart with me at the choir’s 10 year anniversary in 2016. What’s your favourite love song performed in a choral setting? Let us know by commenting below! 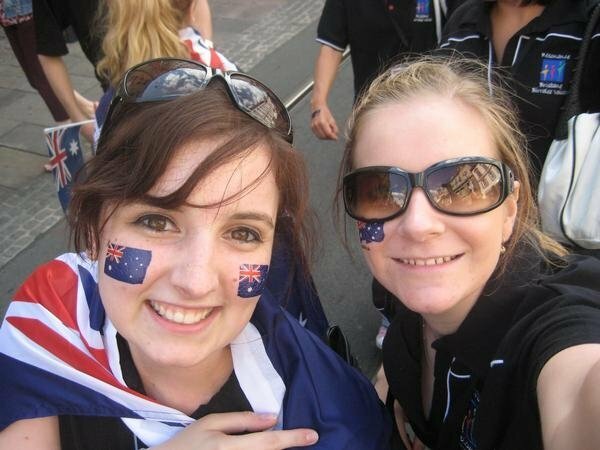 This entry was posted in Reflections and tagged arts, brisbane, choir, Choral, france, music, performance, reflection, singing, tour, valentines day on February 13, 2019 by Voices of Birralee. Next week marks one year since we said goodbye to a very special part of our world at Voices of Birralee. Harley Mead worked with us as a composer, conductor, musical collaborator and compere with many of our choristers privileged to work with him and were honoured to perform some of his inspiring and beautiful music. Honouring Harley Mead for his significant contribution to the Voices of Birralee and greater arts community. 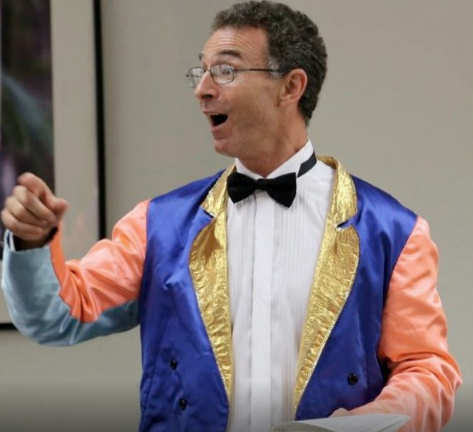 Our singers loved his crazy and high energy warm-ups, while Voices of Birralee’s artistic team enjoyed working with him on a number of Birralee projects. While we miss Harley, we feel incredibly fortunate to have had the time with Harley that we did, and wanted to celebrate some of his work in this blog, with tributes from those who were close to him. The first tribute represents the impact Harley had on many young people. We recently became acquainted with young man, Ben Kingston who is an incredible writer with an immense passion for music. Ben isn’t able to speak and connected with Harley to help him work on a song Ben had written, Running. Harley brought a voice to Ben’s song. “Harley was the first real musician to believe in me and to work with me on a song. I miss Harley as do all his friends. I think the best way to remember him is through his music,” – Ben Kingston. View a piece of Ben and Harley’s work below, while reading about Ben’s inspiring journey here. “It is a year since we lost our friend and inspiration, Harley. I think it is important to stop and reflect on the ups and downs of this last year. The emotions are still raw and the memories come flooding back of the difficult times in the days that followed his passing. But time does heal wounds; indeed, I am sure Harley would want us to move beyond any sadness and to remember his love of life, his love of music and his love for those who made music with him. And for me, as the weeks and months have gone by, the way this happened has been through his music. “It has been amazing the many different ways in the last year my life has collided with the calming, healing influence of his music. As I went through my music library, there it was, just waiting for me to look at and to do with one of my choirs…and so that is what I have done. I turn up at a concert and there on the program will be one of his pieces…and so I sit back and revel in the wisdom of his lyrics and the beauty of his melodies. I flick through my own playlist and one of his songs jumps out at me, just wanting to be listened to…and so I take some ‘time-out’ and remember my mate. “As someone who has the honour, on a more formal basis, of continuing his legacy through the establishment of his website, it is clear that Harley’s music family is keen to share the love and to keep his music alive. What a tribute to Harley this is! “Let us remember him and let us celebrate him through his music. Thanks Harley for the memories!” – Peter Ingram. 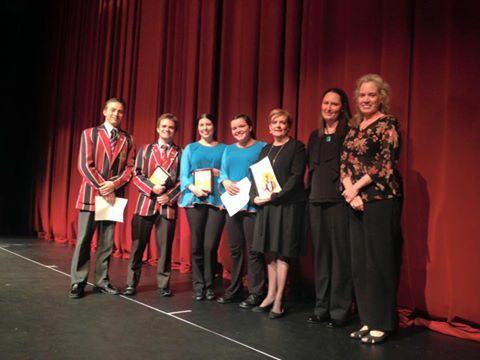 Harley was involved with many schools across Queensland and his dedication was remembered and honoured at the Gold Coast Eisteddfod in August this year, with the Innaguaral Harley Mead Award and Premier Grade Section. Harley had adjudicated the Eisteddfod several times and was popular with the students, teachers and the committee. 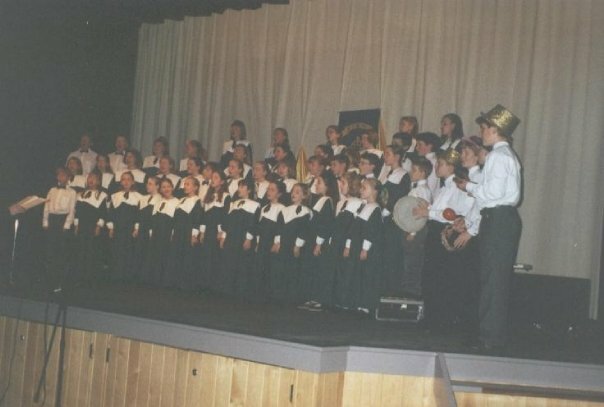 On the evening of August 13, five secondary school choirs; Somerset College, The Southport School, John Paul College, Hillcrest Christian College and The Glennie School competed on the Gold Coast Arts Centre stage singing a variety of music, some of which included songs composed by Harley. HIllcrest Bel Canto Choir win the Inaugural Harley Mead Award, with The Southport School runners up. They are pictured with adjudicator Emily Cox. “It was a beautiful evening of joyous music making with a wonderful spirit of camaraderie and a shared musical purpose. “Many of the girls who performed as part of the Hillcrest Bel Canto Choir have fond memories of working with Harley in 2009 as part of the ANCA Treble Voices Festival at City Hall and then again in 2010 when he conducted a workshop at Hillcrest. It was, therefore, a very special moment when they were announced winners of the Inaugural Harley Mead Award. “Harley was an exceptionally generous man who gave so much to so many children and teachers over the years. The prize money that the choir was awarded is going to be used to purchase Australian choral music to donate to schools who would not normally have the funds to access music scores for their students. Through this we hope more children will experience the magic of joining together in song.” – Jenny Moon. Harley worked on a number of Voices of Birralee projects with a highlight being the Q150 Songbridge tour in 2009 when he and composer, Paul Jarman collaborated with our artistic team to create new works for each of the towns visited throughout Queensland. This was a fantastic experience which led to nine new choral works which celebrated our state’s history and beauty. A piece which Paul and Harley worked on together included This Golden Land performed at the Voices of Birralee Celebrates 2014 concert, conducted by Paul Holley. “Like you all I have times where I feel more impacted by his passing than I ever knew I could. But somehow, through it all, there are times when I know that he is still here with me/us. Maybe death is actually not death, but life eternal that lives on through us as we grow from it. “I consider you all friends and major inspirations to me. Let us always hold together our passions and love for Harley and his legacy.” – Paul Jarman. Above all, what we remember of Harley was his enthusiasm and we can continue to enjoy the wonderful songs he composed which we’ve had the privilege of singing or hearing. We’d like to leave you with Harley’s final performance where he conducted his piece Kusikiliza Kwa Watoto (Listen to the Children). It is evident how Harley passed his love for music onto these young singers and his enthusiasm is contagious. Enjoy! To support Harley’s family, his legacy of beautiful musical is available for use with titles here and you can also honour Harley via the Harley Mead Appreciation Society. This entry was posted in Reflections and tagged Choral, choristers, Harley Mead, singing, Voices of Birralee on September 17, 2015 by Voices of Birralee.